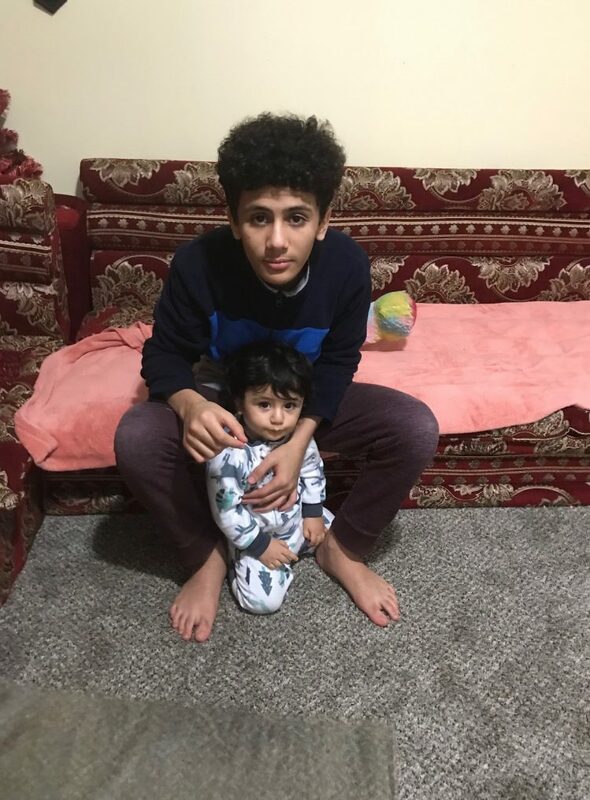 Badraldeen “Badr” Elwaseem was not quite five years old when his father brought him and the rest of his family from Yemen to Buffalo. The father, Adel Elwaseem, wanted to give little Badr and his siblings a chance at a better life, far from the war and uncertainty that gripped his native country. “This is the most peaceful country in the world,” he would tell his family, his daughter, Fatima, 14, recalled. But not even the confines of their own home could shield the family from the gun violence that plagues parts of urban America. On the night of April 6, Badr, was watching the Cartoon Network on his living room TV when gunshots rang out in the Towne Gardens Plaza parking lot, across a busy roadway from the Elwaseems’ apartment on William Street. One of those bullets pierced a side window and struck the boy in the head as he ran for safety, his family said. His mother, Shukria, thought he was joking at first when she saw Badr lying on the ground. She ran out of the apartment screaming for help. Badr’s father held the dying boy in his arms and wailed. He was still breathing. His heart was still beating, Fatima said. She went outside, crying for someone to call the police and an ambulance. Badr was raced to Oishei Children’s Hospital but by the time the family arrived at the emergency room, they were told that the bullet wound was too deep and there was nothing doctors could do to save him. Days after his death and his funeral, which drew hundreds of mourners, Badr’s mother still hopes it was all a bad dream. “It’s like someone grabbed my soul from the inside,” the mother said, holding her hand to her heart. Her niece, who shares the same name as her daughter, Fatima Elwaseem, translated from Arabic for her. On Friday, the mother was surrounded by loved ones at a relative’s house outside of Buffalo. She wore head-to-toe black and sat curled up on a couch, her face etched with sorrow. Her daughter and niece tried to comfort her, bringing her juice and food, and showing her photos of Badr on their cellphones. Sometimes she smiled. But mostly, she cried. Badr's older brother, Najmaldeen, 18, pointed out a video that Badr had posted to his YouTube channel "Atomic Plays" a week before his death. It's titled "One Day i Will Get Recognized." He had about 500 followers on his channel on which he posted videos of himself playing the popular video game "Fortnite." He wanted thousands, if not millions, of fans. “He always wanted to be famous,” his sister said. He dreamed of one day becoming a successful entrepreneur and he wanted to be rich enough to buy himself and his brother fancy cars and his mother a big, beautiful home. But he had deeper desires than that, his brother said. "He wanted to be somebody that can help as many people as you can," Naj said. Badr, pronounced Bu-DAR, was quiet and smart, his family members said. He was sweet and caring, always doting on his baby brother, protective of his sisters and loving to his parents and older brothers. He was athletic and mature for his age. "He carried himself like he was older," said his brother. 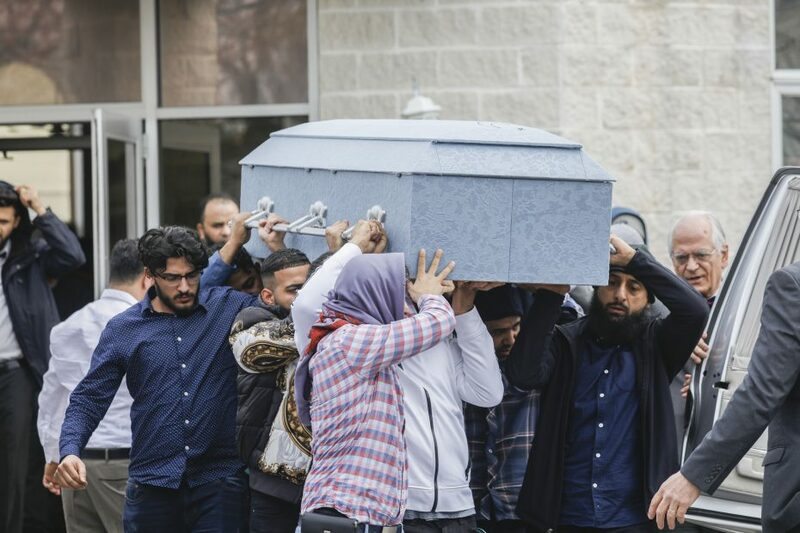 He was a seventh grader at School 45 on the city's West Side but was planning to go to the Universal School, an Islamic school on Genesee Street next school year. 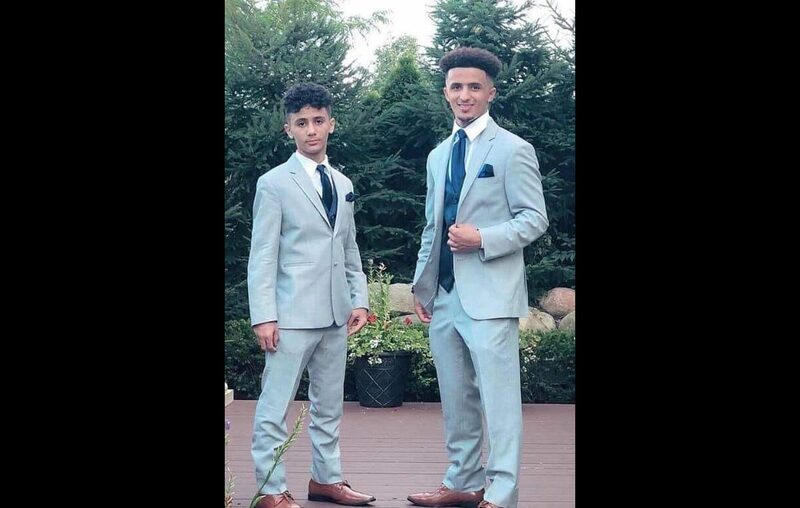 Naj said his little brother seemed to excel at everything he did, whether it was school work, athletics, video gaming or just being a good person. Every morning, Badr would wake Naj up so that the two would do 50 pushups and make prayers. They'd do 50 more pushups every night. "We pushed each other," Naj said. "He would tell me: I want to be just like you. I never told him I wanted to be like him. ... He was better-looking than me. Smarter than me. But I would never tell him that so that he would do better." On the evening of April 6, Shukria Elwaseem was busy preparing a feast for the men of her family, Badr’s sister and cousin explained. An uncle had been visiting from California and it was to be their final night together. Badr’s mother had spent all day cleaning the apartment and cooking traditional Yemeni dishes – goat meat, rice, tea and sweets. The men were going to dine at the William Street apartment while the women met at another house, the family said. Badr was looking forward to the gathering and begged his mom to make him something before dinner because he was so hungry. She made him an egg and cheese sandwich, his sister said. “This is so good,” he told his mother. He always complimented his mother’s cooking, his family said. Badr took a shower to make sure he looked nice for the dinner. He came out without a shirt and showed off his muscles, asking his parents to feel his shoulders. Although he was 12 – a little less than two months away from his 13th birthday – he was built like a teenager, often sharing clothes with Naj. At about 8:30 p.m., Badr’s mother was cooking in the kitchen. His sister was in a bedroom. Badr was watching TV, waiting for his brother to come with his uncles from Tonawanda. Naj recalled they were all getting ready to go back to the William Street apartment when his aunt said Naj's mother had called and was screaming. Naj had never known his mother to scream. He was in a panic. He thought perhaps someone was sick. Or that there had been an accident. He called his mother and father repeatedly, but no one was answering their phones. Naj called a friend who lives nearby and asked him to go check on his family. The neighbor soon called back. "I'm sorry," he said. "Your brother was shot." "I couldn't comprehend the words," Naj said. He and his uncles got into a car and started heading to Buffalo. He said they were pulled over for speeding. Naj told them there was a family emergency and he said it felt like hours as police officers checked out their story. An officer then told them that Badr had been shot in the head and that he was being taken to Children's Hospital. Naj said he arrived at the hospital before his parents could get there. At the emergency room he was told his brother was still alive and that doctors were going to take scans of his brain to evaluate his injuries. They came back a couple of minutes later and said they would begin surgery. "I was relieved," Naj said. "I was praying: God, don't take him away. Please give strength to my brother." A few minutes later, a doctor came out and asked Naj where his parents were. "That didn't seem like good news to me," Naj remembered thinking. "I asked him why." The doctor explained that the chances of Badr surviving were extremely low. That's when his parents arrived. "They told my mom, 'You have five minutes left with him,' " Naj said. His mother fainted. His father fell to the floor. Naj didn't know what to do. He didn't know who to go to. The family was taken to Badr, who was lying on a hospital bed. Naj said he went to his brother's side and held his hand. "I said: I love him. I wish they could have taken me instead of you. You don't deserve this. I love you so much." Then he heard the monitor flat line. Fatima kept talking to Badr. "Let's go home," she told him, Naj recalled. "Let's go play Fortnite. Come on, Badr." Badr’s family can’t bear to go back to their apartment now. There’s a hole in the window. The food is still laid out. 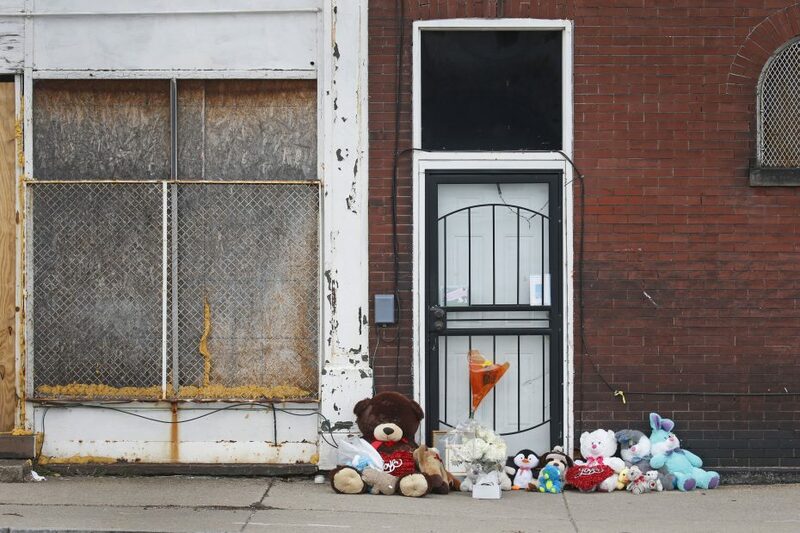 A pile of teddy bears and bouquets grows outside their door. They’re hoping to find a house away from the city. Naj thinks someday he'll open a gym in his brother's honor to give young people in the neighborhood a safe place to work out and hang out. But right now, more than anything, the Elwaseem family wants his killer to be caught. A $12,500 reward has been offered for information leading to the arrest or indictment of whoever fired the gun that killed Badr. 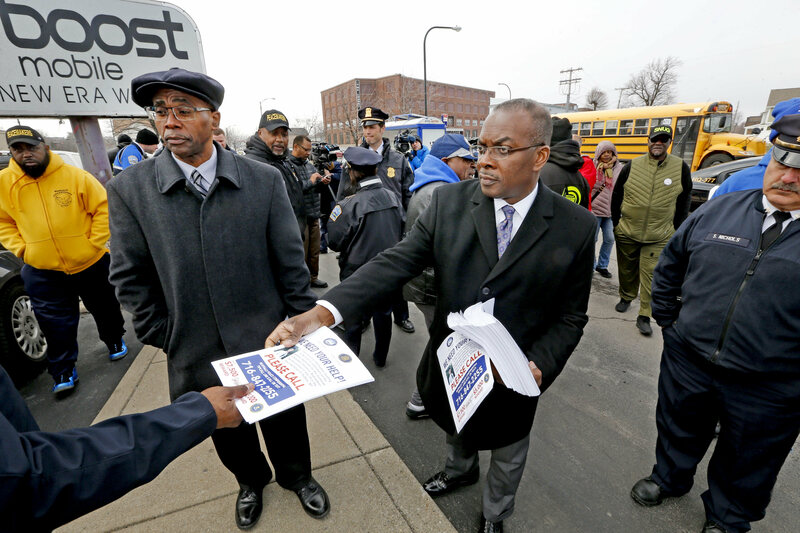 “We need your help!” read a flier being distributed throughout the neighborhood after the shooting, urging anyone with information to contact Crime Stoppers Buffalo at 716-867-6161. Before his brother's body was wheeled away at the hospital, Naj said he made a vow: "I promise I'm going to get justice for you. I don't care how long it takes, what it takes. Whatever I have to do I'm going to get justice for you." The outpouring of support from the community has been a comfort to the family. 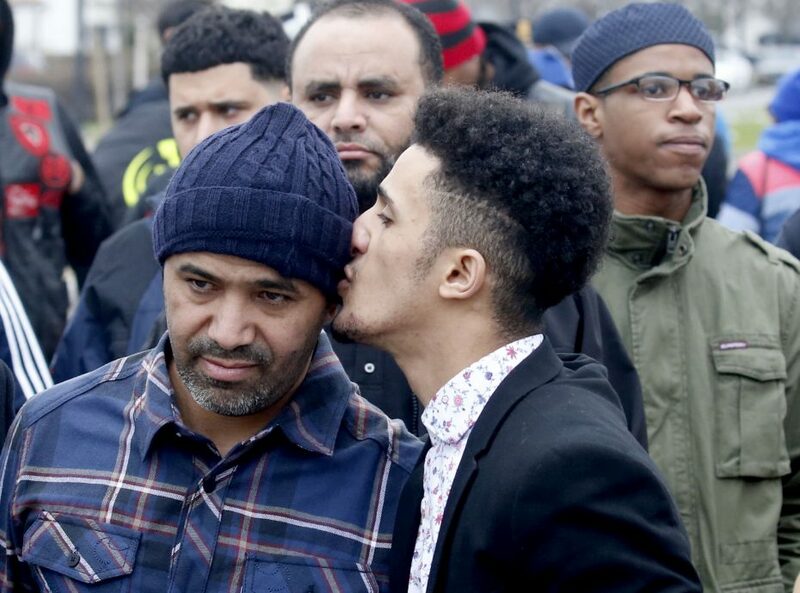 "I've never seen someone touch as many people as Badr did," his brother said. The family has gotten messages from around the world, he said. "Thank you for standing with us on behalf of me and the Elwaseem family," Naj said. Yet they can’t help but feel sad knowing that it was a tragedy like this that has given Badr fame. They just hope that means his killer will be found. Naj pleaded: "I can't have this be one of those stories that fades away."